Although TMD can impact anyone, women are more likely to have the condition. Adults between 20 to 40 years of age are more likely to have TMD. Because TMD’s symptoms are so varied Dr. Sniscak will have to examine your mouth to determine if you have this issue. 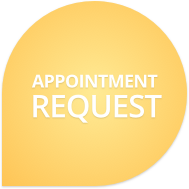 We will review everything including your dental and medical history as well as your lifestyle. After we have pinpointed the exact cause of your TMD pain we can craft a comprehensive plan to relieve your pain. For example, TMD caused by teeth grinding or clenching can be treated with a stabilization splint to keep your mouth relaxed and teeth protected. However, if TMD is due to tooth misalignment or bite imbalances, orthodontics may be required. Contact Smiles By The Sea in Belmar to set up a consultation today.